This old elf is such a darling soul. Not just because she is a friend but because she has such a giving personality. She hides sometimes in the wood and plays hide and seek with us mortals and always makes me giggle. 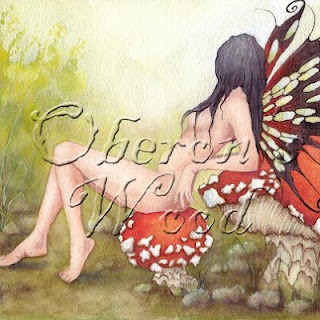 Her painting of fairies are extraordinary and are only surpasses by her talent at miniature sculpture. And her computer creations using old photos never ceases to make me happy. She has a wicked sense of humor. I have shared with you in the past the wonders of her hands on my other blogs but I am going to share with you where you can find her hiding. 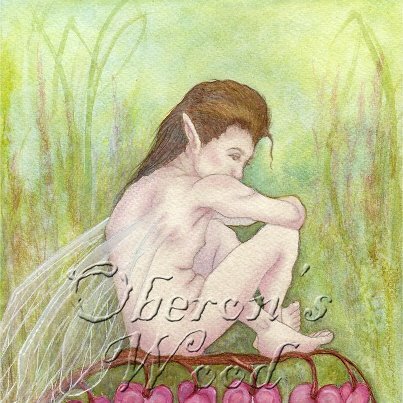 Her facebook page is called "forgotten corner of Oberon's Wood" "https://www.facebook.com/ArtofOberonsWood and also Oberon's Wood as is her shop on Etsy, oberonswood. At this point in time, like all of us who do "arting" encouragement would be a wonderful thing. Most especially because she has such mega talent, not only as an artist but a kind, caring human as well. Ms. Cee is contemplating removing her facebook selling page because of little activity......thus my sending you there to encourage the darling girl. This multi talented lady moderates a lovely page for Pagan Artists Network and also Society of Spellweavers on facebook and is such an encourager of others. Friends to so many and special old elf to all of us. XXXX Ms. Cee. So my lovelies....off with you now. Go see my friend the elf of Oberon's Wood. I've seen Oberon's Wood before and I just love her stuff. Incredibly talented. Hope you and your family are doing very well. I am sorry Oma Linda, but I am not on Facebook ;o( But, I do hope Ms. Cee does not remove her face book page, because she is a wonderful person and a talented person too! She is a wonderfully gifted Old Elf and that's the truth! I hope she realizes that the economy not her work that's effecting her sales. I would love for you to come and visit me. I am an art and people lover and want to introduce you to my friends.